Weaving workshop with Kat Howard at Drop Forge and Tool in Hudson. Education doesn't stop once you leave school—it's a lifelong process. In the Hudson Valley, opportunities for adult continuing education are plentiful, from art workshops to cooking classes to spiritual retreats. "Learning is ongoing—it never ends. You're always going to learn something new," says Mariandale Center's program coordinator Karen Noreika. 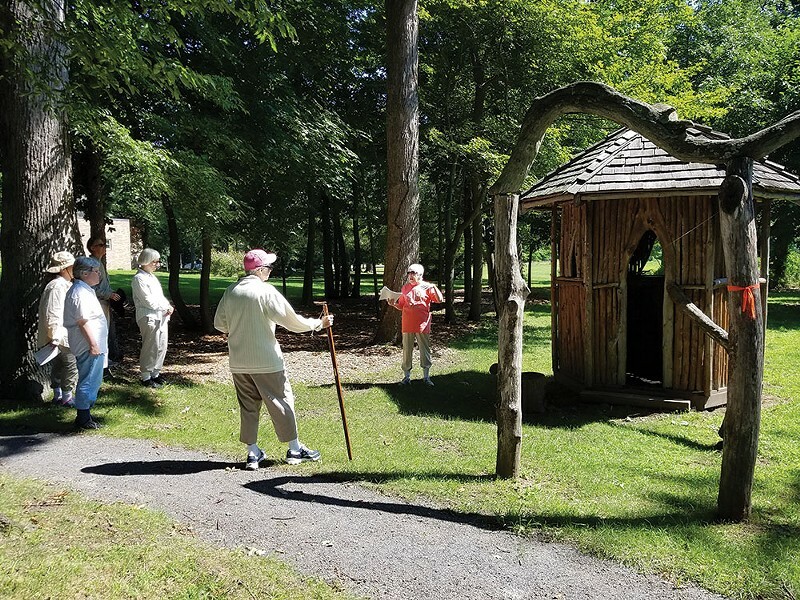 The 65-acre nature retreat in Ossining specializes in spirituality, incorporating reflection and meditation into all its programs. For more hands-on learning, you may find yourself at the Culinary Institute of America (CIA). The renowned culinary school isn't just for the masters—it also offers beginner workshops on cooking, baking, and winemaking. So whatever you're into, here are 11 institutions that will help you stretch those mind muscles. The healing hut at Mariandale Centerin Ossining. Talk about learning at your own leisure—this Saugerties art studio lets you drop in without an appointment to craft. The small, woman-owned business has graced the Woodstock-Saugerties border for eight years with their welcoming charm and artistic expertise. You can simply pop in during business hours, use their arts supplies for a $10 fee, and create your own mixed media project (projects range from $8 to $20). You don't need to be a crafter, though, because Fiber Flame is there to help you out. Whether you're firing clay to make a ceramic mug or decorating a tote bag, the staff will guide you through the process. Plus, their supply wall's large selection will make you craft-happy. 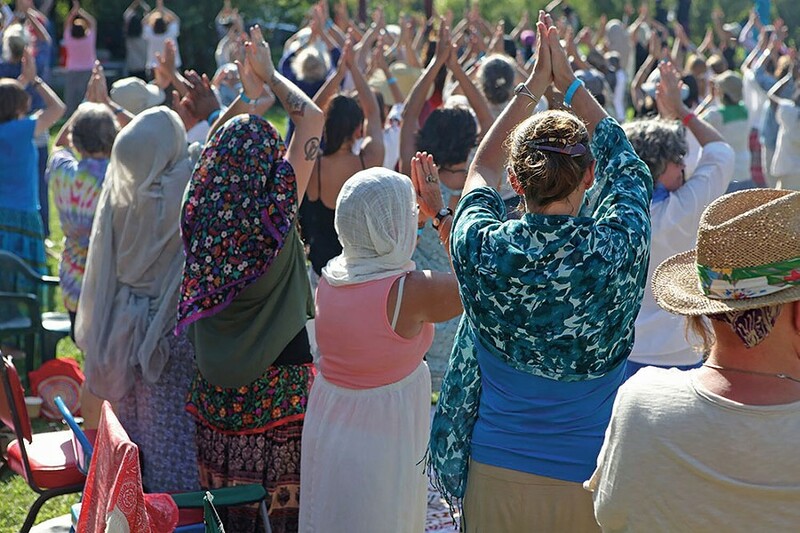 This educational retreat center in Rhinebeck holds many workshops of the yoga, art, and meditation variety—and you can book an all-inclusive stay to let all that newfound knowledge sink in. A pioneer in holistic studies for 40 years, Omega's curriculum is at the intersection of personal growth and social change. This month, classes include Insight Meditation for Beginners, Conscious Writing, Aging with Sass and Class, and How Women Rise. Omega also holds programs in New York City and Costa Rica, such as the mindfulness talk Jon Kabat-Zinn will do at Lincoln Center in December. Every January through March they host all-inclusive programs in Costa Rica that focus on cleansing the soul and tapping into the mind-body connection. From drone flying to bartending, exciting learning opportunities are brewing at SUNY Ulster. 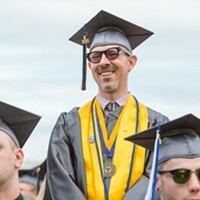 The public, two-year community college in Stone Ridge has a diversified selection of over 400 courses in its continuing education program. These are not-for-credit courses that anyone can attend for several weeks in the fall. 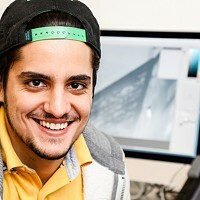 They're geared toward helping you advance your career or simply learn a new skill. Check out upcoming classes like Intro to Drone Piloting, Bookkeeping Basics, Web App Development, Clean Energy, Sign Language, and plenty of other possibilities ranging from corporate training to beauty enhancement. Teapot workshop at Mid-Hudson Heritage Center in Poughkeepsie. This nonprofit organization in Poughkeepsie educates through community events, such as art exhibitions, lectures, author readings, and workshops. 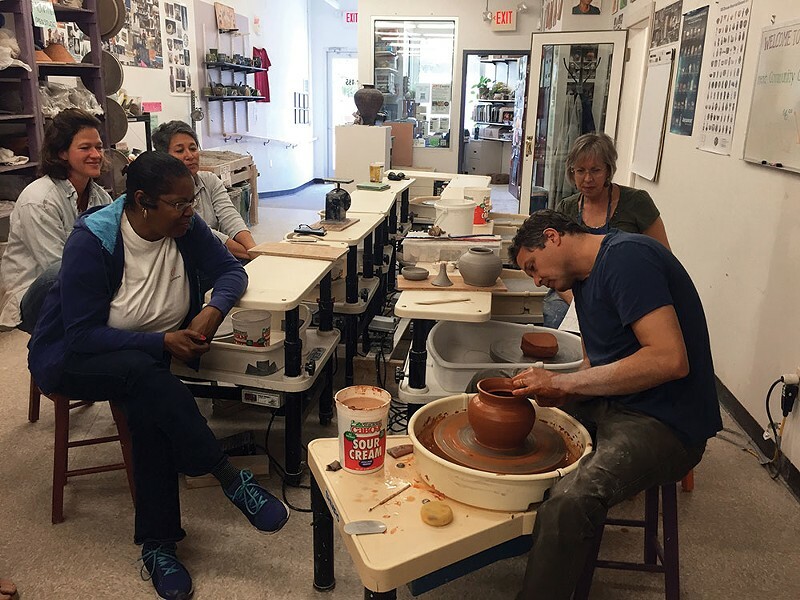 Across its four locations (two of them art galleries), the Mid-Hudson Heritage Center offers different clay, print, and textile classes each month. This fall, they've got Wheel-Throwing, Hand-Building, Pottery for Breast Cancer Survivors, DIY Ceramic Decals, Introduction to Weaving, and Tastes of Printmaking. So, put on a smock and join in—you never know what you're capable of creating. Refine your artistic abilities with art classes at the Woodstock School of Art, where the buildings are on the National Register of Historic Places. Begun as an innovative school of art sponsored by the Art Students League of New York, the idyllic setting of the school in Woodstock has drawn students to the region since 1906. If you're into painting, drawing, collaging, or all of the above, this place is for you. The school has some fall-themed workshops coming up like Woodstock Plein-Air Fall Foliage Landscape, where you'll learn to paint seasonal scenery, and Mastering the Autumn Palette, a painting class that focuses on mixing color. Jack Kornfield silent meditation retreat at Garrison Institute. A gorgeous place to meditate and to learn, this spacious former Capuchin monastery sits on 95 acres right beside the Hudson River. Since opening in 2003, the Garrison Institute's programs have blended contemplation and action. 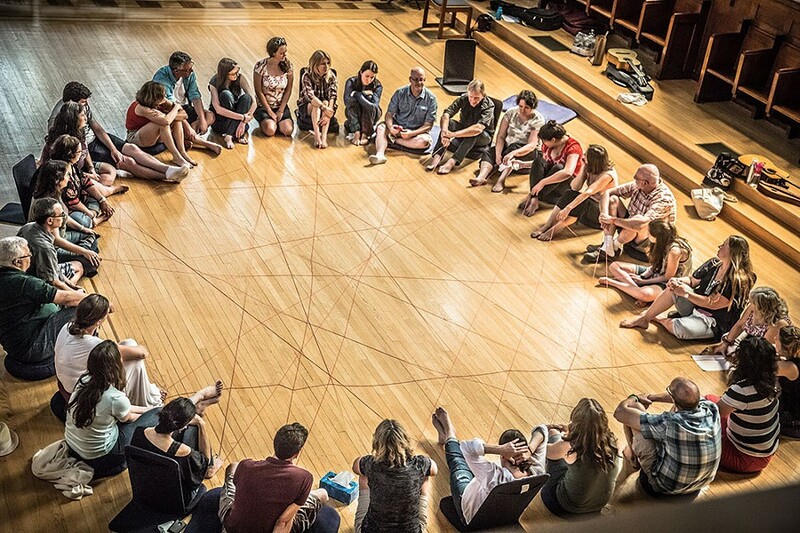 In early October, they'll host a weekend retreat called Mindfulness for Social Justice led by mindfulness experts George Mumford, Rose Pavlov, and Rhonda Magee. It will explore how to bring compassion-based mindfulness to challenges in community-based work. Other upcoming programs include a week-long retreat on yoga and lucid dreaming and an evening class on science-based meditation practice. 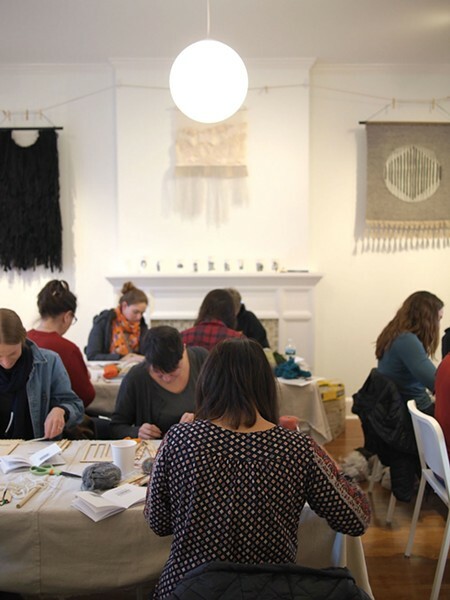 This art studio in the heart of Hudson offers DIY classes and creative residencies. Their small-size crafting classes cap off at 6 to 12 people and are led by local artists. September's workshops will teach you to make woven, beaded rings, latch-hook rugs, and floral arrangements. In October, learn to make tunics, dresses, and lounge pants. Drop Forge and Tool's residencies at its two Hudson locations are for artists who need a place to stay and get some creative juices flowing. Grandmothers Council retreat at Menla in Mount Tremper. Dubbed "Tibet in the Catskills," Menla is a project of the Dalai Lama's nonprofit organization, Tibet House US. The retreat center sits on 325 acres in Phoenicia and provides comforting food and amenities on your journey to equanimity. Menla's world-renowned instructors guide contemplative, restorative weekend and week-long programs. This year's fall calendar includes the Lifestyle Reset Program and Fall Cleanse Getaway, which will teach you to detox with nutrition, better sleep, and restored energy. Retreats include hiking, yoga, lectures, sound healing, movement classes, and free time to enjoy the beautiful surroundings and on-site spa. Clear your mind to feed your mind when you visit the Mariandale Center in Ossining. Many of its retreats include silent time to roam the grounds and connect with the inner self. Some are even completely silent. But no, you won't sit under a tree all day (although upcoming writing workshops and the TreeHuggers Ball on September 23 are centered around them)—Mariandale is dedicated to weaving spirituality into a variety of different classes. Upcoming programs include the Four Heavenly Abodes workshop series, Photography and Meditation, September Writing Tuesdays, Bootcamp for the Soul: Art and Yoga, and An Interfaith Dialogue. Learning's great when you can eat the fruits of your labor. Plus, what's better than becoming your own chef and wowing your next dinner guests? The world-class culinary college in Hyde Park offers all kinds of beginner classes. Take this fall's courses in wine and business: Food and Wine Pairings 101 and Turn Your Kitchen Into a Business. In cooking, get a worldly culinary education with courses like The Flavors of Asia, Spain and the World Table, and Global Street Foods. And in baking, test your sweet tooth with Bread for Beginners, Creative Cupcakes, Gluten-Free Baking, and Everything Chocolate. The Kingston waterfront's maritime museum has been dedicated to education since its inception in 1980. It holds an ongoing lecture series about the Hudson River, covering its storied history from its significance in battle to its impact on the environmental movement. The museum's latest project, the Riverport Wooden Boat School, was founded in 2015 to preserve maritime craft tradition. It offers sailing lessons and woodworking classes where students can learn to carve paddles and make entire boats, among other woodwork projects like skateboards and cutting boards. This fall, award-winning boat designer Hilary Russell will be traveling to the museum to teach a skin-on-frame canoe building class based on his own designs. Build Your Own Skin-on-Frame Solo/Tandem Canoe will be held over two weekends, September 29-30 and October 6-7.